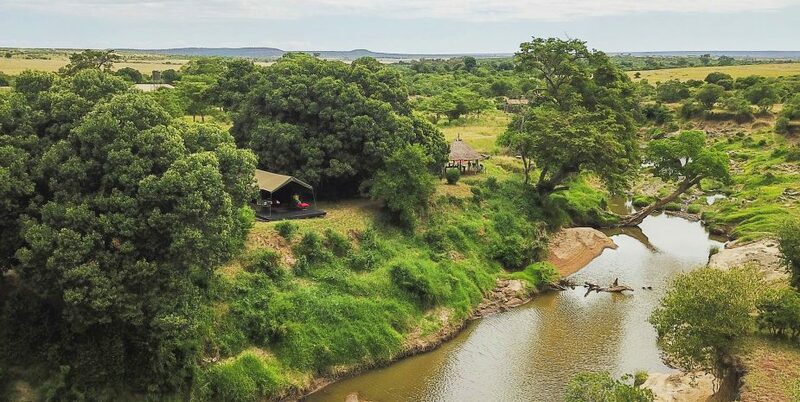 Our VIP camp is located in a secluded wood on the banks of the river Talek and is the ideal setting for honeymooners and private groups. 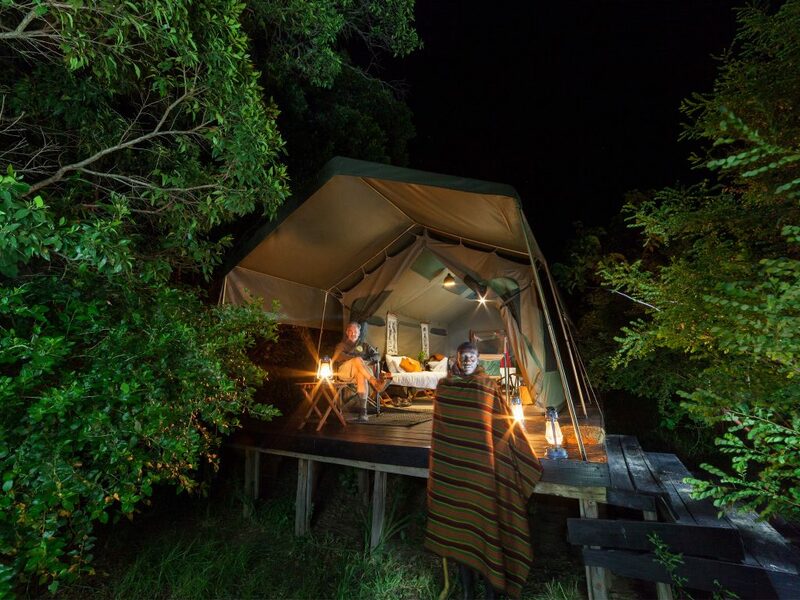 Each spacious tent, measuring 27m2, sits on its own elevated wooden platform offering privileged views of the relaxing surroundings. 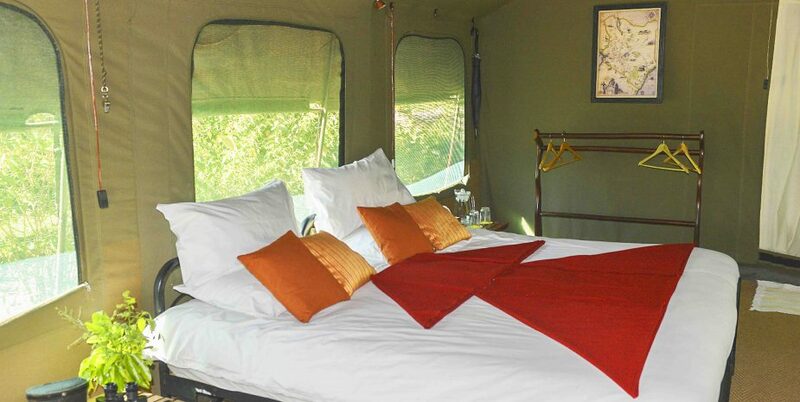 Twin beds dressed in fine Indian cotton sheets, warm duvet and Masai blankets are standard, with doubles available upon request. 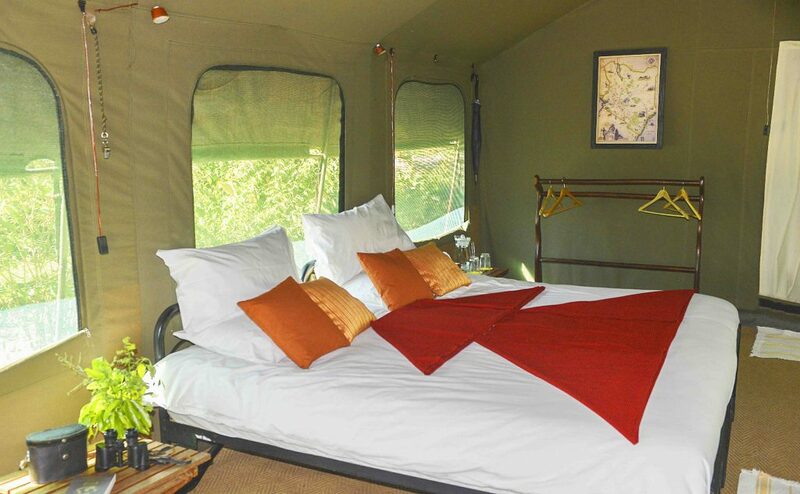 All tents include sewn-in mosquito nets, wooden bedside tables and coat rack, solar powered lighting, luggage racks, and private en-suite bathroom with hot running water 24 h/ day and regular flushing toilet. 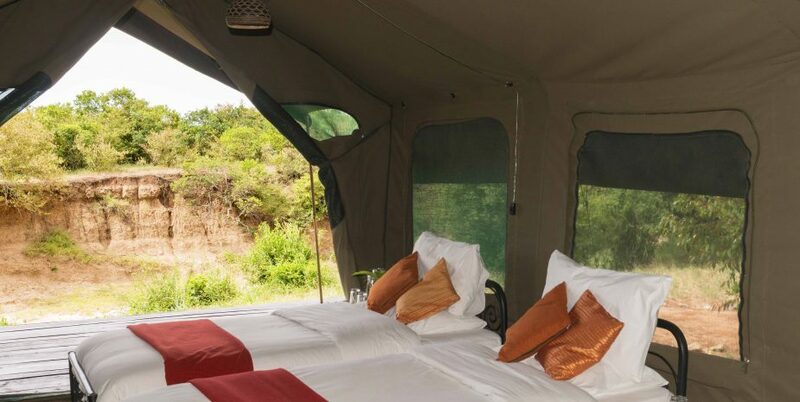 All guests who choose to stay in one of our four VIP tents can enjoy an all inclusive meal package, which includes breakfast, lunch and dinner, wine, beer and soft drinks, as well as tea, coffee and mineral water. 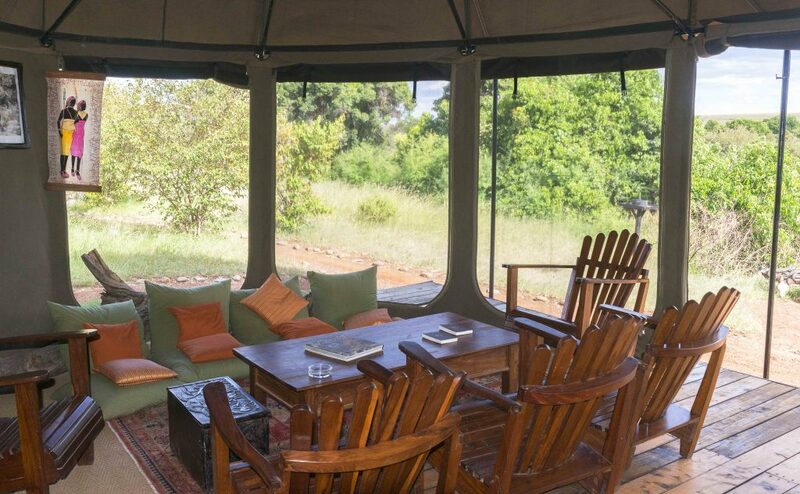 They can also enjoy exclusive use of the VIP mess tent and outdoor communal areas, shared with only 3 other VIP tents, making intimacy and relaxation a key part of the guests’ experience. 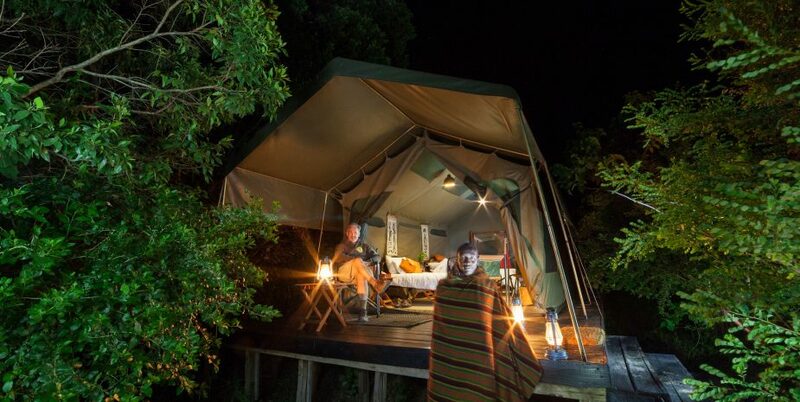 Additionally, a game package plan is available which includes 2 daily game drives in our exclusive 4×4 Toyota land cruisers, specially designed and adapted for safari and include individual power points for charging cameras, phones etc. 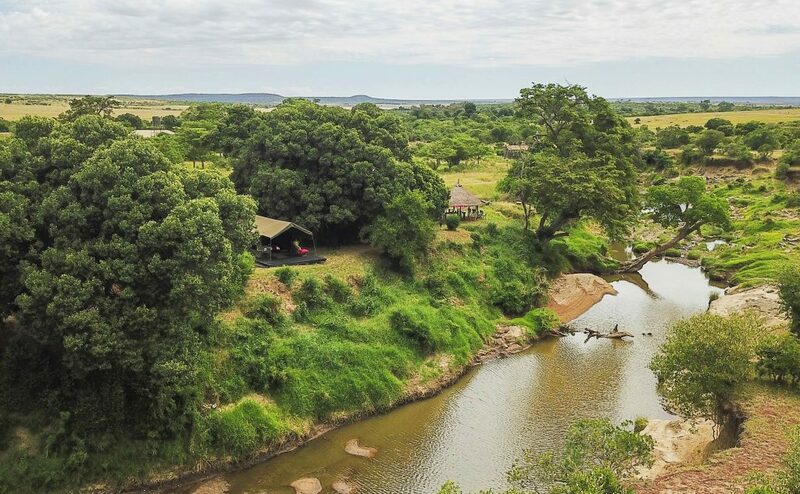 Our experienced driver-guides are at your service, to ensure you encounter the most spectacular wildlife experience in the most famous nature reserve in the world. 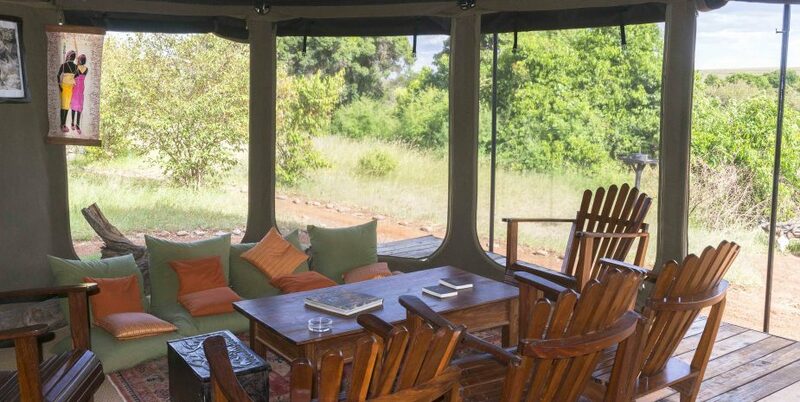 A private safari is available for a surcharge, subject to availability. VIP Full Board Plan: includes breakfast, lunch, dinner, mineral water, tea, coffee, wine, beer and sodas. 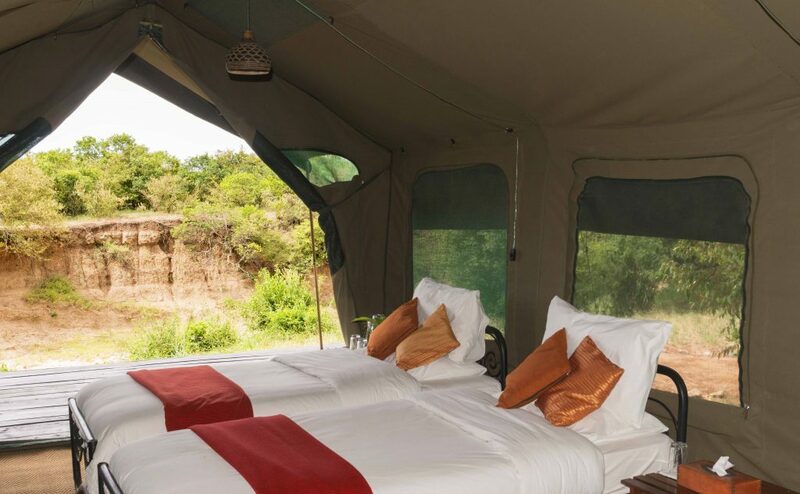 VIP Game Package Plan: includes breakfast, lunch, dinner, mineral water, tea and coffee, wine, beer and sodas and 2 daily game drives (or 1 all-day game drive with packed lunch instead of lunch at the camp).